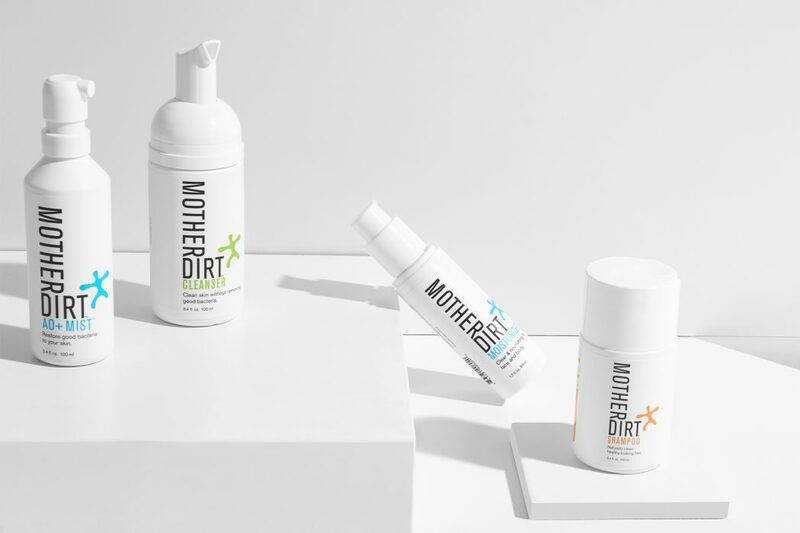 Mother Dirt is on a mission to restore the good bacteria to your skin with their range of skin microbiome friendly products. How? Their hero product the AO+Mist, contains the probiotic Ammonia Oxidizing Bacteria, the good bacteria which plays a role in the balance and health of the skin. We caught up with Mother Dirt president Jasmina Aganovic on the science behind the live probiotic spray and the rest of the range. Bacteria and skin are usually two things talked about at odds with one another. Why is “good” bacteria for skin now considered so important? We’ve learned from our need for gut probiotics that healthy bacteria are a necessity in our bodily systems. They keep us strong and thriving. Good bacteria aren’t just for the belly. It turns out our skin also relies on a balance of bacteria to be healthy too. More and more studies are being done on the benefit of microorganisms. There are also studies being done to understand how specific types of bacteria are actually needed in balance to have healthy skin. What effects from beneficial bacteria can you expect to see on the skin? Can AOB help spots and acne prone skin? Within two weeks of use, the AO+ Mist improves the appearance of skin issues including sensitivity, blotchiness, roughness, oiliness, dryness, and odour. The AO+ Mist does this by replacing essential bacteria lost by modern hygiene & lifestyles. It restores balance to your skin, in the process giving you healthier-looking skin. 60% of users are able to stop using deodorant and an average 2+ products from personal care routines. Is Mother Dirt suitable for sensitive skin? Yes. All Mother Dirt probiotic skincare products are suitable for all skin types; oily, dry, and sensitive. How does the bacteria in the AO+ Mist differ from probiotics in food or other probiotic skincare lines? While their general function is the same, the types of bacteria used are very different. This is because there are many different kinds of bacteria and each thrive in different environments. The environment of the gut is very different from the environment of the skin. Probiotics in the form of yogurt or supplements target the gut biome. These types of bacteria need to be able to withstand more acidic environments. Though these products also aim to shift the balance of good and bad bacteria, they would not be suitable for the skin, and vice-versa. The Mother Dirt AO+ Mist uses a bacteria suited for the skin: Nitrosomonas – a family of bacteria that consume ammonia found in our sweat, in turn producing beneficial byproducts that lead to healthier-looking skin. Up until about 100 years ago, this very bacteria used to live on our skin naturally. It’s found everywhere in nature, especially dirt. Between our mostly-indoor lifestyles (i.e. minimal contact with nature) and the chemistry in our cleansing products, we’ve removed them from our skin. That’s why we created our patented AO+ Mist, which is a live probiotic skincare spray infused with Ammonia-Oxidizing Bacteria, to help restore balance to the skin’s ecosystem. Can Mother Dirt products be slotted into an organic skincare and haircare routine? Or is it best used as a system? The beauty is, anything goes! We realise that people have products that they love using and don’t want to give up. You can mix and match any of our products with your organic skincare faves. Many people just use the Cleanser, or Moisturizer, and you’ll still see results with our AO+ Mist if you use it with your old standbys. We just recommend that if you’re using the AO+ Mist with other products that aren’t from our biome-friendly product line, that you use it as the last step in your routine after all other products have absorbed into your skin. It’s also great to use at night before you go to bed.